Trees may be protected by a Tree Preservation Order (TPO) where they offer significant public amenity to their local surroundings. TPO’s are made by the Local Planning Authority (LPA) making it an offence to “cut down, top, lop, uproot, wilfully damage or wilfully destroy” a tree without the planning authority’s permission with fines of up to £20,000. TPO’s are there to protect trees from harm but trees are living organisms which grow and change over time, needing attention and eventual replacement. We have an excellent relationship with our Local Planning Authorities and they have always been supportive of good arboricultural practice. 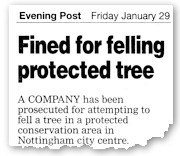 It is also necessary to apply to the LPA for permission to work on trees in a Conservation Area. 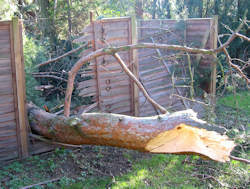 The LPA can either allow the work to proceed or they can impose a TPO to protect the tree. Before working on any trees we always check whether they are covered by a TPO or a Conservation Area. If it is required, we will usually make the application to the LPA on behalf of the customer. 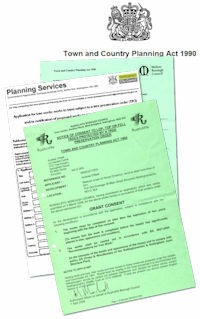 Details of the Local Planning Authorities are given on the links page. These laws provide protection for birds and their nests, bats and their roosts, fungi, lichens and invertebrates. 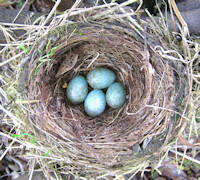 It is a criminal offence to intentionally or recklessly disturb or destroy a wild bird’s nest, whether in use or under construction. This applies to all wild birds whether it is an osprey or a pigeon. We will always check for nests before we start work and, if necessary, postpone until after the young have fledged. Tree owners have a ‘duty of care’ to other people and their property. Trees should be checked for dangerous branches and decay to ensure they don’t pose a risk to people or property below. The Highways Department regularly check trees overhanging roads to make sure there is adequate clearance for traffic. The owner of the tree will be responsible for the cost of any work. However, if your trees are close to power lines, the utility companies will often trim them free of charge (though their concern is for the power line rather than the aesthetics or well-being of the tree).